Man united are in the best form in this season. 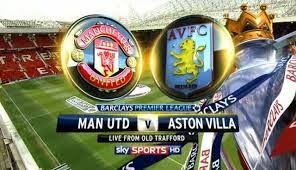 Villa traditionally is one of United's favorite opponents to play. The reverse fixture did not go to plan as Villa scored sick goal thru Benteke and then it was an uphill struggle for United who are not that good away from home anyway. Playing at Old Trafford will bring out the best of them and I fully expect United to win by at least couple goals.